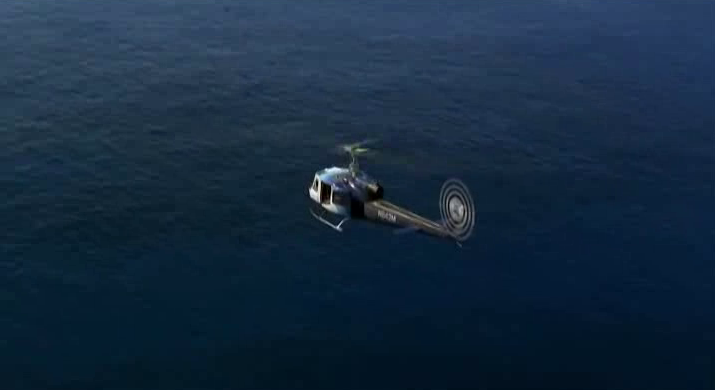 We open the episode with a helicopter arriving to the island, only it starts to malfunction, so Faraday, Charlotte, and Miles all have to parachute off the helicopter. Jack and Kate come across Faraday first. They head off to find the rest of his team, and they come across Miles, who holds them all at gunpoint, trying to get answers, because he knows Naomi died and gave a distress call over the radio. He takes them into the jungle, but is overtaken by Sayid and Juliet. Charlotte is discovered by Locke and his group. Jack and his group are trying to track down Charlotte, and are tracking her transponder, but discover Locke just tied it to Vincent and let him run through the jungle. They come across Frank, who shows the where he landed the helicopter. While they prep the helicopter to go back to the freighter, they learn that the team is there for Ben Linus. Locke takes his group to try and find Jacob's cabin, but it isn't where he thought it would be, so they go to the barracks instead. Sayid, Miles and Kate head off to find Ben, but are captured by Locke and his group. Locke lets Sayid go, and he trades Miles for Charlotte. Kate decides to stay at the barracks. As the episode comes to a close, Frank, Desmond, and Sayid all head off on the helicopter, off the island and towards the freighter. The episode runs 56:39 and is 476MB to download. You can stream the episode below (via Facebook), or go here to use torrents (better quality, recommended) to download the episodes to your computer.